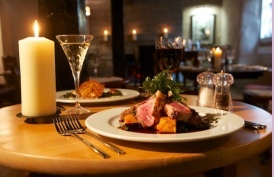 Cliftons provides this selection of Truro’s restaurants and pubs which cater to suit all food preferences. Please mention our name if you patronize any of these places to eat. Set on Mitchell Hill, a short route from our Guesthouse (through Agar Road), in a quiet historical quarter, The Rising Sun is the hub of the local community and a destination for visitors to the county. At The Rising Sun they offer superb food, showcasing local, seasonal produce. Tom, a hands-on owner and dedicated chef is incredibly knowledgable on seasonal produce and writes his menus accordingly. They work in a very flexible way, changing dishes and menus regularly to coincide with, not only seasonal produce but also the very best quality Cornwall has to offer. Bustopher Jones Wine Bar and Restaurant has been lovingly restored within a beautiful listed building. The cat is back about town and he means business! An oasis of calm in the city, the restaurant flows from the street right through to the garden lounge, which is a perfect sun trap for the long summer nights and a cosy, heated, retreat in the winter. Inspired by the beautiful, fresh seafood from our Cornish coast, their menu focuses on preserving the purity of the natural flavours of the ingredients. 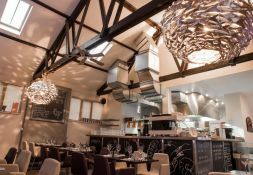 Hooked’s rosette-awarded kitchen focuses on classic dishes with a modern twist. Or sometimes a twist just isn’t needed. They believe that simple food is often the best. Especially when it’s fresh, Cornish and in the hands of our talented chefs. With a small but passionate team, Hooked in the City has quickly become one of the top seafood restaurants in Cornwall. Found in the heart of Truro and shadowed by the Cathedral, the Kathmandu Palace is well known for its welcoming hospitality and excellent healthy cuisine. It is a family run business which has won many awards and is a firm local favourite for its Restaurant. Nepalese cuisine is a combination of subtle tastes in flavours: ginger, garlic, cumin, coriander, chillies, turmeric, etc subtle, refreshingly different and lighter than its Indian counterpart. 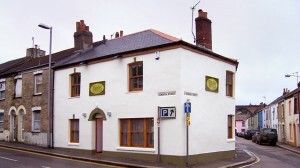 The Wig & Pen is a friendly pub serving top quality food in a relaxed environment. Dedicated to using the best local produce available and keep close ties with suppliers – producing beautifully simple dishes which allow the ingredients to shine. Everything they serve is produced at the restaurant, from the bread with your starters to the chocolates with your coffee. Tabb’s is one of the most exciting restaurants in Truro. 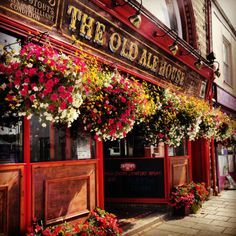 Traditional Cornish Real Ale pub in the heart of the city. Offering 4-8 cask ales on tap daily. Locally sourced food served daily. The menu has been put together with collaboration from the chefs at River Cottage. 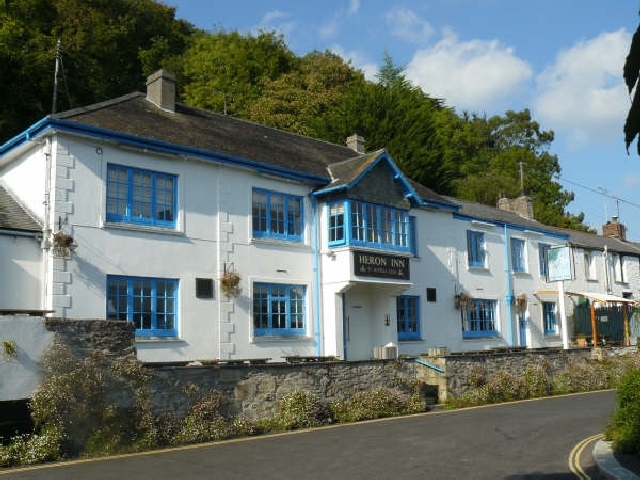 The friendly staff, great atmosphere and award winning selection of Skinners Cornish ales makes this pub a favourite for locals and visits alike. Also free monkey nuts! The Heron Inn is situated in the picturesque village of Malpas, only two miles from Truro city centre. The pub overlooks the point where the Fal, Tresillian and Truro rivers meet, with views over to St Michael Penkevil, the Tregothnan Estate and Old Kea. The pub is a member of CAMRA and has a good range of St Austell Brewery Ales available including the award winning ‘Tribute’. There is an extensive Wine list offering a wide variety of grape varieties with a good selection available by the glass. The Kings Head is situated just a few miles outside Truro & about 8 miles from St Mawes, deep in the beautiful Roseland Countryside, in the tiny hamlet of Ruan Lanihorne. This is Country Pub with a warm welcome, great beers & simple food, cooked well. When you visit the Pandora, it’s easy to forget you’re in the 21st century. Its spectacular setting on the edge of Restronguet Creek (near Mylor Bridge) is timeless. Parts of the Inn date back to the 13th Century and, with its flagstone floors, low-beamed ceilings and thatched roof it’s not difficult to believe that little has changed since that time.